Game Development | La Noia Di Muu? I know I missed the Flappy Jam, I didn’t absolutely care about it. I had some time and I decided to make a parody game about the fucks I gave about it. 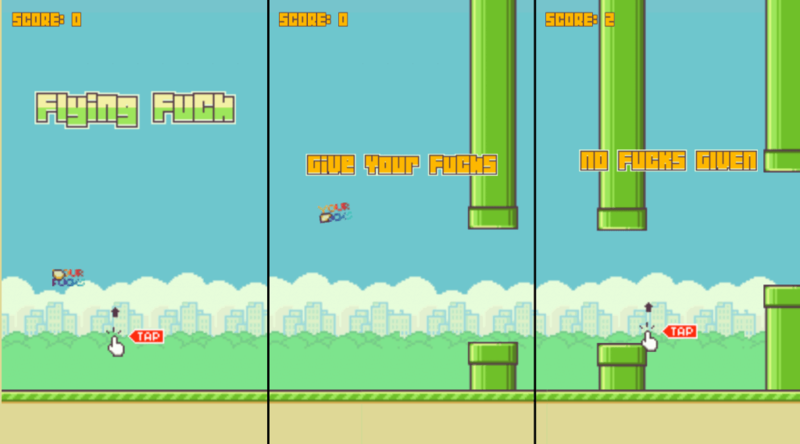 Actually, I neved player Flappy Bird myself and I made this game by copy pasting some graphics and watching a couple Youtube video about the game. You can play it here. Hope you enjoy.